The Black Forest Inn is proud to be able to give back to our community. We are grateful to the many organizations in their service to the education, health, and quality of life of our neighbors near and far. We have two primary giving mechanisms. We donate over $4000 worth of gift certificates every year to organizations holding events such as silent auctions, raffles or prize giveaways. Additionally, several a year we partner with selected organizations and donate a portion of our profits to them on selected days. to an organization whose mission we are excited about supporting. 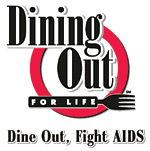 Dining Out For Life is a city-wide event, the others are Black Forest Inn only. For the last four years we have participated in Dining Out for Life and each year the event and our contribution gets bigger! In 2010 we will again be donating 15% of our breakfast, lunch and dinner sales to the Aliveness Project, a community center for people living with HIV/AIDS. For more information visit Aliveness Project. 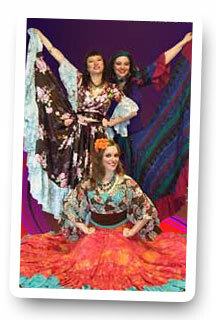 We will ring in the New Year in style, with a gypsy-themed New Year's Eve party. While we celebrate gypsy culture in the spirit of fun, we will keep one eye on reality and donate ten percent of our total sales for the whole day to Heifer International's Roma projects in Romania and Slovakia. Heifer International lifts people up from poverty by giving them the training and resources to attain self-sufficiency though agricultural opportunities. We encourage our guests to join us in supporting this great organization and their project to empower the Roma people of eastern Europe. For more information visit Heifer International. While we celebrate Spargelfest (visit our Spargelfest page) we take a day to recognize how important fresh produce is to everyone. There's no better way to do that than by supporting Harvest for the Hungry, a unique program that provides local, farm fresh food to food-shelves and meal programs across the metro area. Funds enable them to purchase CSA shares from small Minnesota and western Wisconsin farms and deliver the weekly produce to our hungry neighbors. This is one of the only programs like it in the country and we are honored to support it again in 2010 by sending them 25% of our food sales from this day. Join us and support both farmers and food shelves at once! 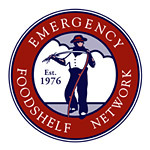 For more information visit Emergency Food Shelf. Wine and heart health have long been thought to go together. We'll drink to that! During our midsummer Weinfest, (visit our Weinfest page) we will support the Minneapolis Heart Institute Foundation with a donation of twenty percent of our wine sales through Weinfest and fifty percent of our total wine sales on MHIF Night. Through education, research, advocacy and intervention, MHIF is leading the way to a world without heart disease. Their activity is local, statewide and national, but their office is just up 26th street from us! Join us during Weinfest to support our ambitious and innovative neighbor. For more information visit Minneapolis Heart Institute Foundation. For more information, visit our Holiday & Events pages!